UNITED NATIONS, Apr 12 2019 – The civic space in several African countries, including Tanzania, Burundi, Zambia, Sudan, Mozambique, Somalia and Eritrea, is gradually shrinking – and mostly under authoritarian leaders and repressive regimes. The attacks are directed largely against human rights and civil society organizations (CSOs)— and specifically against the news media. The UN Human Rights Office in Burundi was closed down last February at the insistence of the government, with the UN High Commissioner for Human Rights Michelle Bachelet expressing “deep regrets” over the closure, after a 23-year presence in the country. “Since the UN Human Rights Office in Burundi was established in 1995, for many years we worked with the Government on peacebuilding, security sector reform, justice sector reform and helped build institutional and civil society capacity on a whole host of human rights issues,” Bachelet noted. She said the Office helped ensure the incorporation of a human rights dimension to the implementation of the Arusha Agreement, which was the bedrock of the country’s stability for many years. The Office played a leading role in the establishment of the independent National Commission on Human Rights, the Truth and Reconciliation Commission, in legislative reforms and in the emergence of strong civil society organizations, Bachelet added. Taking a wider look at the status of human rights and CSOs in the African continent, Judy Gitau, Regional Coordinator for the Africa Office of Equality Now, told IPS “civil society is under attack by repressive regimes in various African countries”. One example is Tanzania, she said, where the State is clamping down on basic freedoms like association and peaceful assembly, with CSOs facing threats of closure if they highlight human rights violations. In Tanzania, she pointed out, the attack on civil society is now going beyond freedom of movement and association to daily operations, with some of actors being required to inform state officials of their day to day activities. NGOs are also anxious about the security of their data and information within their premises, and the privacy of their internal and external communication. “Burundi caused the United Nations to shut its local human rights office after 23 years, indicating that as a government it had made sufficient progress in human rights, so that the existence of the U.N. office was no longer justified. However, opposing reports indicate that since 2015, when the incumbent President indicated he would run for a third term, contrary to Burundi’s Constitution, human rights violations have been rampant in Burundi, and this includes attacks against civil society activists highlighting violations of the constitution. “The presence of an independent intergovernmental body in a State experiencing some form of civil unrest may result in the monitoring and recording of violations that can potentially be used in future international criminal proceedings. So, it is telling, she said, that the UN local office would be shut down in Burundi at a time when there is a surge in reported violations occurring. Addressing reporters April 2, Robert Palladino, Deputy Spokesperson at the US State Department said the US is also deeply concerned by the Government of Burundi’s decision to extend indefinitely the suspension of broadcasts by the Voice of America (VOA) and to revoke the operating license of the British Broadcasting Corporation (BBC). This decision raises serious concerns for the freedom of expression enshrined in article 31 of Burundi’s constitution as well as for Burundi’s international human rights obligations. “We call on the government to rescind its decision, and we urge the Government of Burundi to allow all journalists to operate in an environment free from intimidation. A free and independent media is indispensable to a vibrant, functioning democracy and to free and fair elections in 2020,” he declared. Meanwhile, Human Rights Watch (HRW) has condemned the ban on Tanzania’s leading newspaper, The Citizen, pointing out it is part of a series of attacks on freedom of expression by the government of President John Pombe Magufuli. 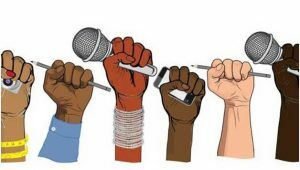 Last year several CSO, including the New York-based Committee to Protect Journalists (CPJ) urged Magufuli to end attacks on journalists and acknowledge the critical role that the civil society and independent media play in promoting peaceful coexistence. ‘‘This is all part of a wider pattern of repression targeting freedom of expression over the past few years including creating an excessively high fee to blog, criminalizing posting certain content online, fining TV stations, and prohibiting the publication of independent statistics without government permission”, HRW warned. In March CPJ welcomed a ruling by the East African Court of Justice (EACJ) that multiple sections of Tanzania’s Media Services Act restrict press freedom and freedom of expression, and called on the Tanzanian government to repeal the act. Last week, the CPJ and 37 other CSOs also issued a joint statement urging Mozambican authorities to immediately and unconditionally release community radio journalist Amade Abubacar, who has been in pre-trial detention since his arrest on January 5. On the situation in conflict-ridden Sudan, Clement Nyaltesossi Voule, the UN Special Rapporteur on the Promotion and Protection of the Right to Freedom of Opinion and Expression criticized the excessive use of force against peaceful protesters in Sudan. According to one report, over 20 people have been killed and over 100 injured since 6 April—besides widespread arrests and attacks on journalists by the security forces. A UN Commission of Inquiry has called on Eritrea to investigate allegations of extrajudicial killings by its security forces, including torture and enslaving hundreds of thousands, going back to 2016. And in a policy briefing released in March, titled “Shrining Space in Zambia: Time for Action”, ActionAid said Zambia has a range of statutes that gives the country very broad powers to silence free expression and limit freedom of assembly. “Some of these laws, like the 1930 Penal Code, were first used by the British to crack down on anti-colonial movements. Others such as the NGOs Act, Independent Broadcasting Act, and the proposed Cyber Crime Act, were recently introduced to regulate and restrict newer forms of speech and association”. In a statement released here, Bachelet reminded the authorities in Sudan of their overarching duty to ensure the protection of the human rights of all people and to refrain from the use of violence. “This is a very critical, volatile moment for Sudan and there is deep uncertainty and unease about the future,” Bachelet said. © 4453 South Africa Spectator. All rights reserved.